Recently Integration MVPs Michael Stephenson and Saravana Kumar have launched a series of community-focused integration events. What is unique about these events is that they have been designed to cater to an International audience. Live Webinars have been held every Monday evening (UK time) for the past couple weeks and for several more in the near future. They have created a website, appropriately called http://www.integrationusergroup.com/ where you can find all the details for these events. When Michael asked if I was willing to present the talk I gave at the Integrate 2014 event I was happy to oblige. On Monday, February 2nd I will be discussing “What to look for in an Integration Platform”. I have included the overview for the session below and want to take this opportunity to thank Michael, Saravana and the BizTalk360 team for hosting these events and providing a great service to the Integration community. The landscape for integration platforms continues to evolve. Cloud, Hybrid, Mobility, SaaS connectivity, API Management and MicroServices are introducing new architectural patterns and requirements. These new capabilities are also introducing new entrants in the integration platform industry. For customers who are looking to upgrade, or adopt a new integration platform, this can be an overwhelming and confusing situation. In this talk, Kent will take a requirements driven approach when selecting an integration platform. On January 10, 2015 I had the opportunity to speak about the Azure Service Bus. This was an introductory presentation on the subject, but I was able to sneak in a more complex demo at the end that includes Azure Mobile Services and BizTalk. I have uploaded the slides to slideshare below. If you want to see a video of the the final demo you can view that on Channel 9. It is that time of year where I take a step back and reflect on the previous year and then start thinking about the upcoming year. 2014 was an incredible year, one that I will not forget any time soon. I did a lot of travelling in 2014 and met a lot of great people, for this I am grateful for the opportunities that allowed this to happen. So let’s get into it, here are some of the events that took place over the past year. Johan Hedberg, Morten la Cour and myself released a second edition of the (MCTS) Microsoft BizTalk Server (70-595) certification book to include new BizTalk 2013 content. We released the book in March, 2014 as it also co-incided with the launch of the Microsoft Partner Assessment exam that Microsoft uses to measure its Silver or Gold Application Integration partners. If your are interested in getting certified, either personally or as part of the Microsoft Partner network, I still feel that it is a great resource that will aid you in achieving your goal. The Book is available from both Amazon and Packt. In March, I had the opportunity to head to Europe to present at a few events. These events included the BizTalk Summit in London on March 3rd/4th, Swedish BizTalk User group in Stockholm, Sweden on March 5th and the Netherlands BizTalk User group on March 6th. Special thanks to Saravana Kumar, Johan Hedberg and Steef-Jan Wiggers for allowing me to participate in these different events in your countries. 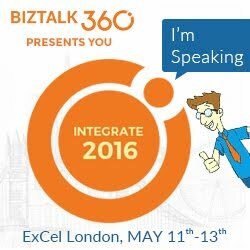 The BizTalk community is second to none in Europe so it is always an honour to head over there. Even though it was an extremely busy week, we did have some time to see the sights in London. But otherwise a lot of time was spent at airports and in airplanes. After my return from Europe, I made a career change and joined MuleSoft. Event though MuleSoft has its headquarters in San Francisco I was able to sign on as a Remote Solutions Architect. In 2014, MuleSoft made a lot of investments in supporting the Microsoft eco-system. Most of the activities I was involved with included Microsoft at some level. The highlight of my time there would have to be getting involved in the release of a couple of investments related to calling .NET code (.Net Connector) from a Mule workflow and the MSMQ connector. I had the opportunity to demonstrate these components at MuleSoft’s flagship event called Connect in San Francisco in May 2014. I decided to leave MuleSoft at the end of September 2014. The logistics of me being a remote worker in Canada created some challenges and as a result I decided to move on. Overall, I value the time I spent at MuleSoft. I got to learn about a new eco-system, met a lot of great, smart people and got exposure to API Management which I hadn’t been exposed to previously. After leaving Mulesoft, I traded my eclipse IDE for Visual Studio. I have shifted my attention back to the Microsoft Integration stack including BizTalk, Azure Service Bus and Azure API Management. I was able to attend the Annual MVP Summit in Redmond. It was another great opportunity to talk shop with my integration colleagues from around the globe. Since the Summit has moved to the fall instead of Spring, we have developed a bit of a tradition by heading to Lowell’s, in the Pike Market, for breakfast before heading to a Seattle Seahawks game. Even though it rained pretty much the whole game it was still a fun way to to spend a Sunday ffternoon. Microsoft had a bit of a surprise for us once the sessions started. It was at this point that we started to hear more about the next generation platform that they were building. This more than kept us occupied in many discussions through-out the week. The amount of brain-power that shows up for MVP Summit is flat-out impressive. Some of the brightest minds in the industry are present and eager to share some of their experiences. Mark Mortimore, who runs marketing for BizTalk, decided to tap into some of this knowledge and have people record some short demos in advance of the Integrate 2014 event. I took this opportunity to discuss a scenario I had built in the spring involving capturing data from a Power Plant and making it available to mobile devices via BizTalk, Azure Service Bus and Azure Mobile Services. You can view my clip and others here. Microsoft held its annual Integration event in North America in December 2014. I had the opportunity to speak at this event. My topic involved considerations when choosing an Integration Platform. The Integration Platform landscape has been very crowded lately and there are a lot of mixed messages flying around. The point of my session was to take a step back an look at a requirements based process to selecting a platform. I discussed some of the top requirements that I would be looking for in a platform. I also took this opportunity to announce a Whitepaper that myself, Michael Stephenson and Steef -Jan Wiggers had been working on called Choosing the right Integration Platform. 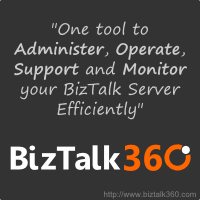 This whitepaper is available for free on the BizTalk360 site. The Integrate 2014 event had an incredible amount of announcements and gave attendees a lot of insight into where Microsoft is headed with Integration. You can find a more detailed recap of the event here. During all of these activities, I was also pursuing a Master’s Degree. In December 2014, I graduated from Arizona State University with a 4.0 GPA. The program that I was enrolled in was called MSIM (Masters of Science in Information Management). The program is delivered on-campus and online through the W.P. Carey School of Business. For the past 16 months I have spent approximately 20 hours a week in the program. It was a great experience and I am glad that I had the opportunity to go through it. I had some great teammates in my group and we worked really well together even though both of them are in Phoenix and I am in Calgary. In 2015, I am definitely looking for a slower pace and being able to spend more time with my family. While I will continue to focus on technology with my spare cycles, I definitely plan to spend more time skiing and running this year. Between school and doing a lot of travel last year these are some of the activities that I had to concede. From a technology perspective, I certainly plan to dive deeper into the upcoming Microsoft Microservices offering, Azure API Management, Azure Event Hubs and Stream Analytics. I did receive word that my MVP status has been renewed for 2015. I want to thank both my Canadian MVP leads Sim and Joel and the Product Group leadership team Vivek, Guru and Mark for keeping me in the program even though I spent some time away in another platform. 2015 is going to be a really big year for Microsoft in the Integration space and I am thrilled to get involved. I also want to take this opportunity to thank all my twitter followers and readers of this blog for their continued interest in what I have to say. The Microsoft Integration community is really amazing and I am inspired to be part of it. Here’s to a great 2015!